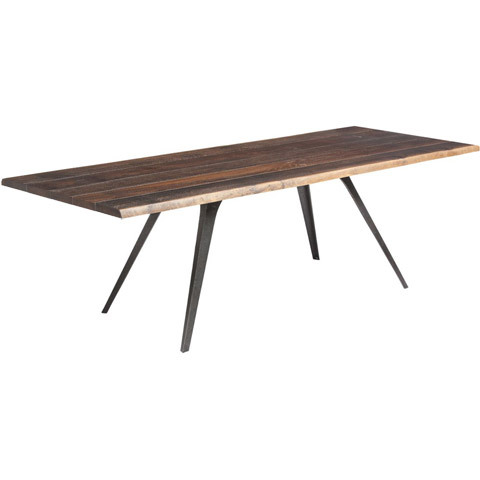 Vega Dining Table - 94.5"
A mid-Century modern gem, the Vega Dining Table harkens back to the era of Mad Men. 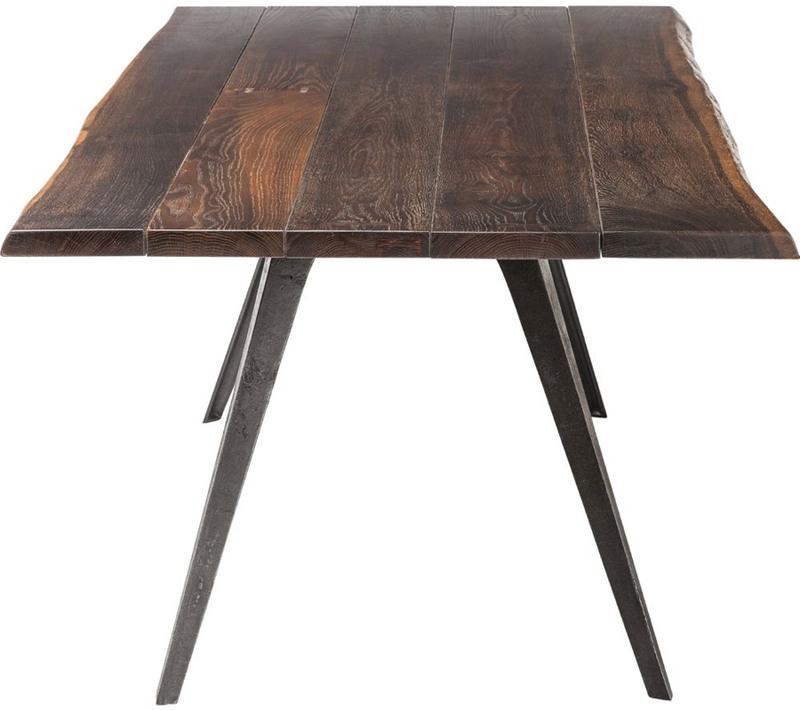 Constructed with a French Oak top, Vega boasts dovetailed joinery and "live edge" detailing, so no two tables are the same! Beneath, a stylishly simple cast iron base plants angled legs beneath your choice of an 83" long or 94.5" long dining top. 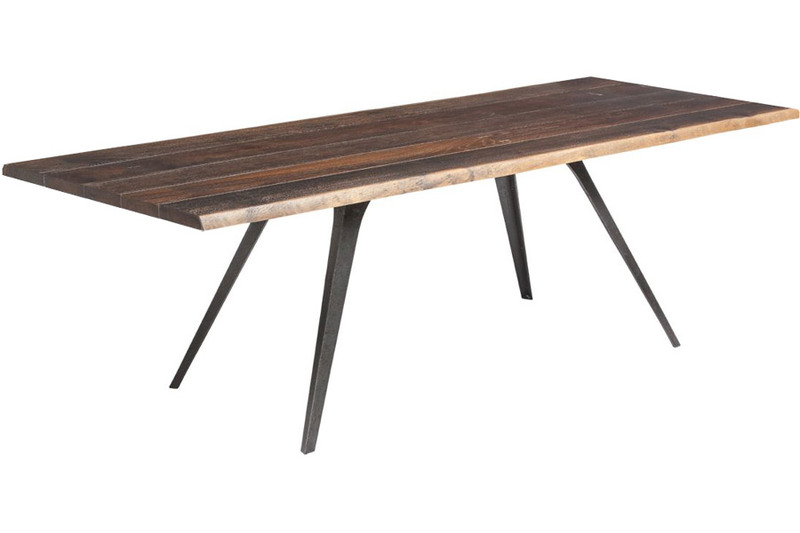 Seating eight or ten respectively, it's your call whether you'll let friends or family compliment your new table first!